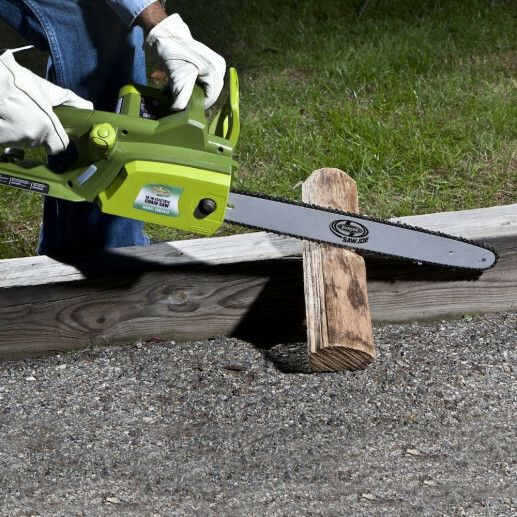 A CUT ABOVE THE REST. 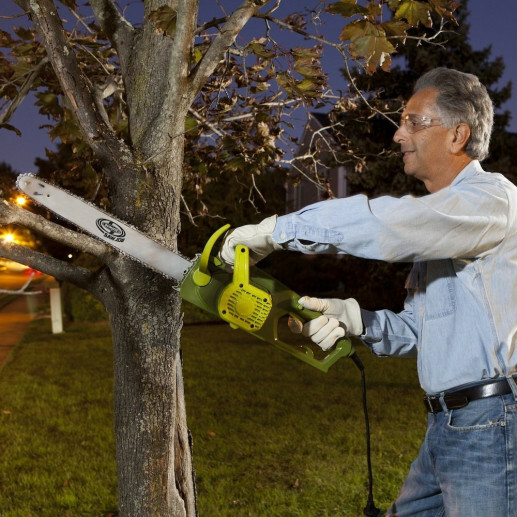 The Sun Joe® SWJ701E 18-inch 14-amp electric chain saw combines power, performance and precision into one easy-to-use, reliable cutting tool. PREMIUM POWER. 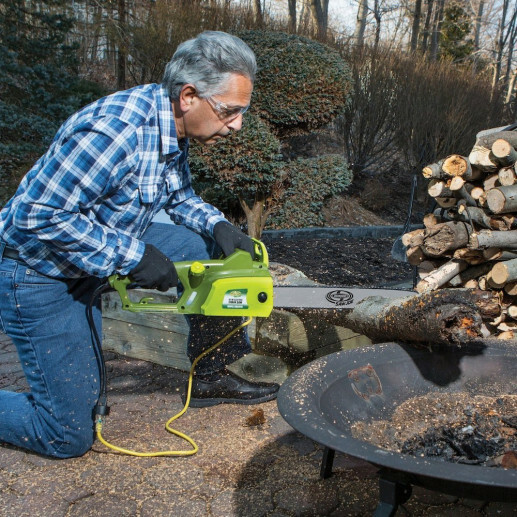 Packed with a powerful 14-amp motor that starts instantly with the push of a button, the Sun Joe SWJ701E makes quick work out of thick limbs, firewood, logs and branches. Powered electrically, the eco-friendly Sun Joe SWJ701E performs reliably without having to mess with gas or oil or pollute the environment with toxic hydrocarbon emissions. 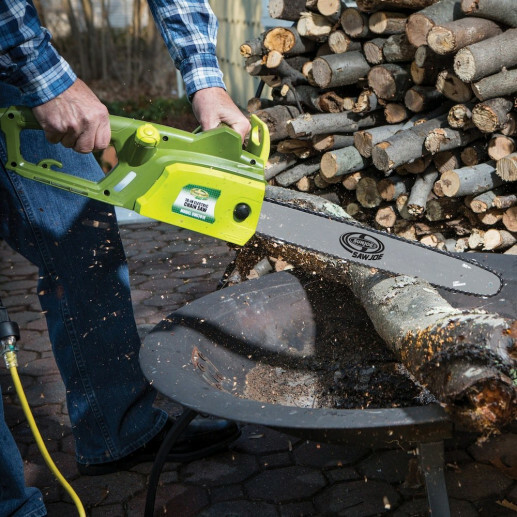 OPTIMAL PERFORMANCE Getting the job done is easy with the Sun Joe SWJ701E. Its lightweight design (only 9.7 lbs) and adjustable ergonomic handle work together to maximize comfort and minimize fatigue during use. 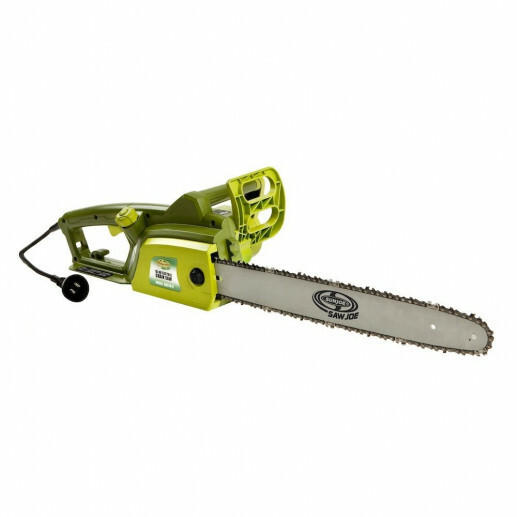 Safety features include a hand guard with kickback brake and a switch to prevent accidental starting. DIMENSIONS: 22.00" x 14.00" x 10.00"